‘Rural’ is a big red bowl of tomato soup — or is it? 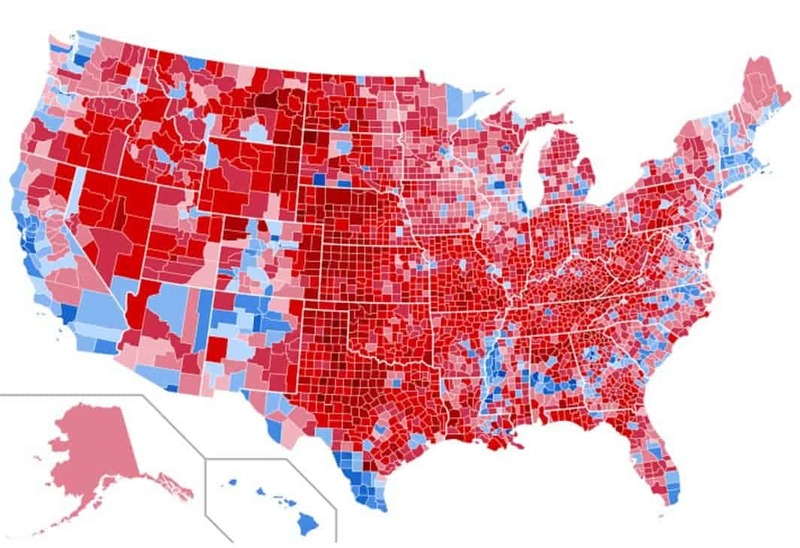 At quick glance, rural America is a political sea of red. As usual, things aren't so simple — even in Texas. In the 2016 election most — but not all — rural counties in the United States voted for Donald Trump. But the very common — and mistaken — narrative from both politicians and media is that rural America is a sea of conservative red. The Democratic-voting blue areas are on the urban East and West Coasts, in other big cities such as Chicago and Atlanta, and in some isolated lefty college towns, hippy havens and elitist resort areas. In some very conservative states, according to this narrative, only the biggest cities are blue. It is of course generally true that most of rural America votes for Republicans. But that is also not the whole picture. About 10 percent of all non-metro counties – 195 out of 2,027 – voted for Clinton in November 2016, and 250 delivered less than 50 percent of their votes for Trump. Many of these counties have majority populations of people of color — African-American, Latino, and Native American. But this is not the total picture either. The 250 counties are in not just a few states but in 35 – ranging from one county in Kansas, Kentucky and Pennsylvania to 24 in Mississippi, 19 in Texas, 17 in Colorado and 13 in Georgia, North Carolina and New Mexico. Who would have guessed that almost 30 percent of Mississippi’s 82 counties voted against Trump? As the map here shows, the South has a long arc of these rural (and some urban) counties stretching from Arkansas to southern Virginia. The Southwest has Hispanic-majority places and some counties in the Dakotas and elsewhere are majority Native American. In 2014 TV-host Jimmy Kimmel interviewed then-Texas Gov. Rick Perry in Austin at the South-by-Southwest Festival. The liberal Austin crowd booed the governor, leading Kimmel to ask why. 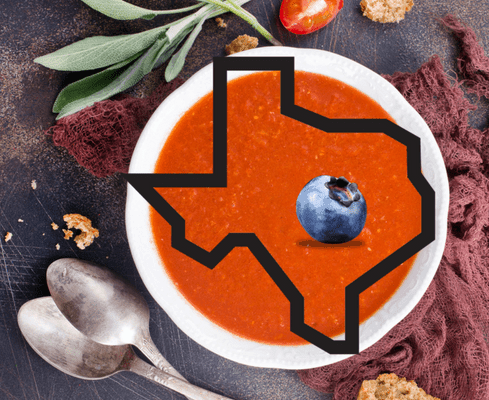 Perry said, “I tell people … Austin is kinda the blueberry in the tomato soup in the state, if you will. It is a little different than the rest of the place.” His implication, of course, was that Austin is left-wing blue and out of it, while the rest of Texas is reliably conservative. A number of critics were quick to point out that most other Texas cities – Houston, Dallas, San Antonio, El Paso — also vote blue and have for some time. But left out of those comments was that most of the Hispanic-majority counties along the Texas-Mexico border also vote blue. We can thank the governor — now our secretary of energy — for this food imagery. But it also allows us to point out that there are lots of unrecognized blueberries out there, including some whole pints of fruit.